Warm greetings from Opera BOMBANA Restaurant. December is coming with lots of festivities. Opera BOMBANA Executive Chef Marino D'Antonio prepares a 6 courses Christmas Eve Degustation Menu. Meantime a famous American band The Jackson Twinz will perform Live to lighting your Christmas Eve. 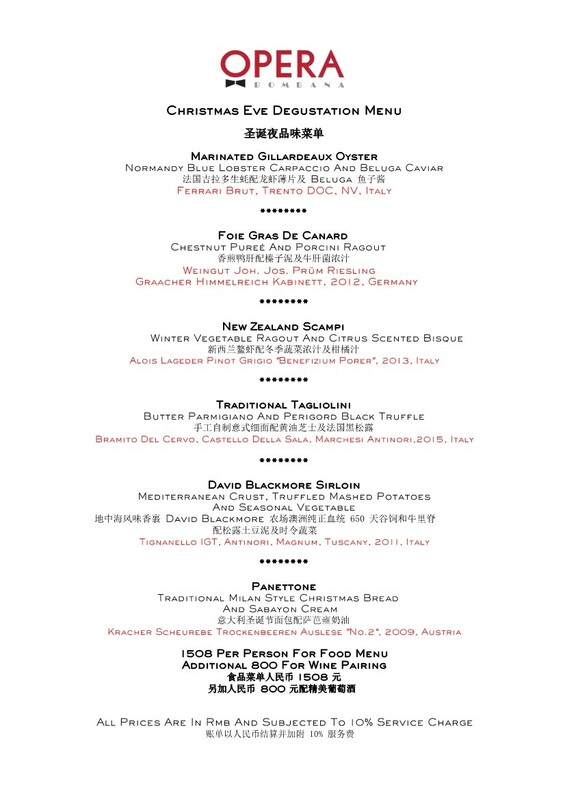 Christmas Eve Menu available on 24th of December @ RMB 1508 +10% Per Person, Additional RMB 800 for wine pairing. Christmas Special Brunch Menu available on 25th of December. Only for CICC Members: 10% discount + Welcome Drink. Please do feel free to contact me for any further info. Or easily make a reservation—010-5690 7177. Look forward to having you again at our venue.